SSD data recovery presents some new challenges for data recovery labs. It requires new training, techniques, and tools. One controller type stands out as notorious in the DR world, it’s known as “SandForce”. To this day support has still not been added to the top SSD data recovery tool. For some Sandforce SSD failures there are only a few labs throughout the world that are known to be able to recover these SF based solid state drives. For those cases the cost is quite high and probably not really an option for the average consumer. Wait! There is some good news if you have a failed SSD with a Sandforce controller. At Blizzard Data Recovery we can recover some SF based devices if they become ready at first, but then get stuck busy when trying to access any sectors. If you have experienced a failed Sandforce based SSD, and the cost was too high for recovery, it might be worth the cost of shipping to send it to us for a free diagnoses. It just might be recoverable for our current flat-rate SSD recovery price. If it’s not recoverable we will pay to return it to you. A recent case we recovered was an Intel SSD Pro 2500 Series. 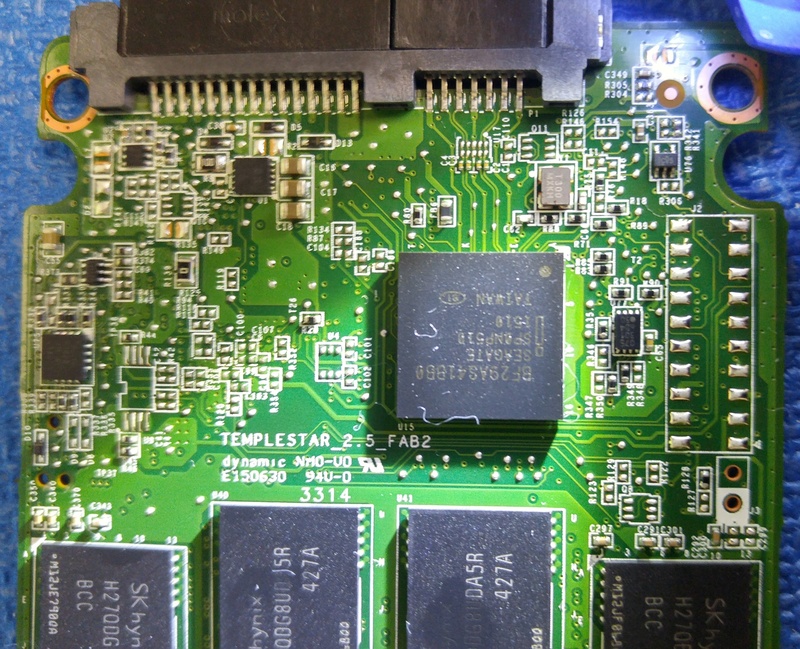 Inside we found a Seagate branded controller number BF29AS41BB0 which turns out to be a modified Sandforce CPU. You will also find Sandforce controllers in Intel 540 model SSDs. If you try to ID the device or access any sectors the state would immediately change to BSY. At Blizzard we can’t recover every Sandforce based SSD but we do have a solution for this particular type of failure.